Ivor Stodolsky and Marita Muukkonen, eds. MANY THANKS to MIKHAIL GRIGORIEV (photographer) and LENA ZAITZEVA for their work on the catalogue photography as well as logistical help. For their site see Foto Kolekt!v. An article in a special issue of Sirp, the Estonian weekly, dedicated to Perestroika. A cover photo from the exhibition, and an overview article and visual documentation dedicated to the exhibition process, in Idäntutkimus, the Finnish academic Eastern European and Russian studies review. 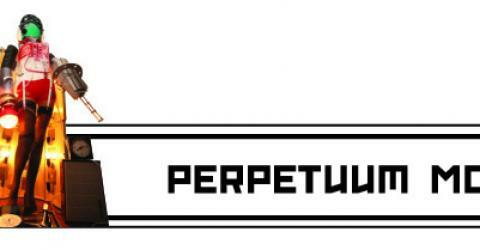 An overview (p.4) of the Perstroika-related activities of Perpetuum Mobile in 2007-2008 in Chto Delat’s newspaper, which included articles by many of the keynote speakers of PM’s Perestroika Project’s conference. Here an interview in the Estonian weekly following a talk at the Estonian Academy of Arts in January 2010.